Poll: Albertans Don’t Want Coal-Fired Electricity | R.E.T.A. A recent poll shows 76% of Albertans surveyed believe pollution produced by burning coal can harm the health of seniors, and 70% believe those emissions also pose a risk to children (Edmonton Journal). And, 80% of those surveyed want renewable energy used to generate power instead of coal. Of the 750 Albertans polled in February, 76% believe government should encourage businesses to use renewable energy, and 74% believe coal should be phased out if alternatives exist. Two-thirds of Albertans are willing to pay higher prices for electricity generated by wind and solar power. The poll was commissioned by the Canadian Association of Physicians for the Environment. Earlier last year, the Physicians for the Environment, Lung Association and Asthma Society of Canada released a significant research report, “A Costly Diagnosis”, that revealed alarming health impacts of pollution from Alberta’s coal-fired power plants. The research found that pollution from coal-fired power plants results in $300 million in medical costs and contributes to 100 premature deaths in Alberta each year. Emissions from coal-fired electricity plants in Alberta cause asthma sufferers to miss 4,800 days of work and school and prompts 700 emergency-room visits from patients seeking treatment for respiratory and cardiovascular ailments each year. The 2013 research report indicated that in 2011, coal-fired power plants emitted 45% of Alberta’s output of mercury, 33% of its sulphur dioxide, 10% of its nitrogen oxides and 6% of its fine particulate matter. These pollutants exacerbate symptoms of asthma, negatively affect neurological and lung development, and also result in increased cardiac disease. Referring to the recent poll results, the executive director of the physicians’ group said, “There is scientific agreement that coal makes people sick. What I find interesting about this poll is that people in Alberta agree with the scientific community.” Unfortunately, the Alberta Government continues to bury its head on the matter. Alberta’s Associate Minister of Electricity and Renewable Energy, Donna Kennedy-Glans, recently said that industry and the provincial government have not established a connection between coal-fired power plant emissions and health. While the Alberta Government refuses to accept scientific research and is dragging its heels on power generation, other provinces have already transitioned, or are quickly transitioning, to cleaner, safer and more-environmentally friendly power generation alternatives. 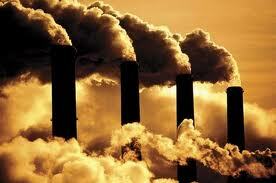 See this link for more information on the negative impacts of coal-fired power generation. ~ by RETA on March 6, 2014.